New Zealand hosts a lot of interesting animals and plants that can be seen only here. The number of endemic (native) species is estmiated to be as high as 70,000! 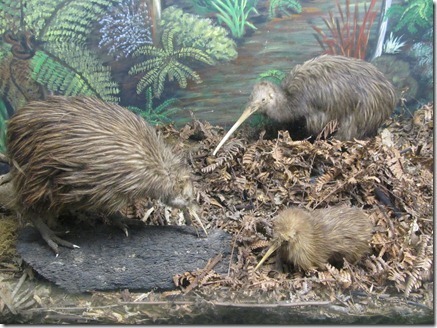 This unprecedent wealth of wildlife is the result of long isolation of New Zealand from other lands. Around 85 m years ago, the land of NZ, got separated from Gondwana, i.e. the ancient super southern continent, which comprised today’s lands of South America, Africa, India, Australia, New Zealand, Antarctica and South East Asia. Here is a few interesting species mentioned above. Let me start with one of the symbols of New Zealand, the famous kiwi bird. It is one of rare flightless birds. This handicap makes kiwi and its offspring quite vulnerable. For this reason the kiwi population is endangered today. 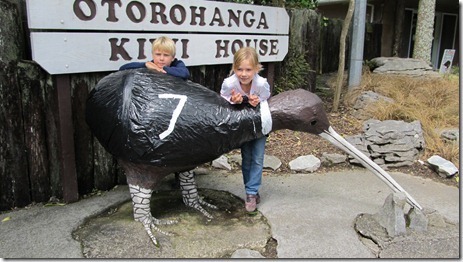 We were lucky to see a few of them in the Kiwi House in Otorohanga learning a few ineresting facts about those intriguing birds. Kiwi egg relative to the female size is huge. It has around 20% of the parent weight. 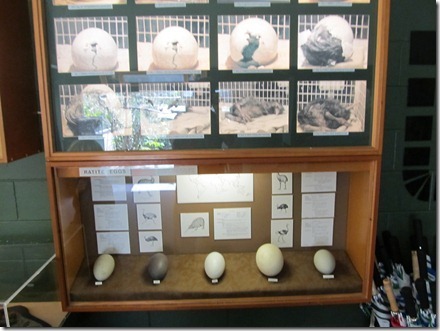 Though much smaller, the kiwi egg is almost as big as ostrich’s egg. Unlike other birds right after hutching the newborn kiwi has the hairy plumage of an adult bird. In the same vein, contrary to other birds its nostrils are placed at the end, not at the base, of their beak. Kiwis are nocturnal and sleep up to 20 hours per day! 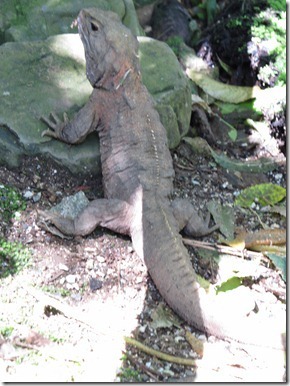 Another fascinating endemic species to NZ is tuatara. It is a reptile from hatteria family, resembling a big lizard and related to dinosaurs. 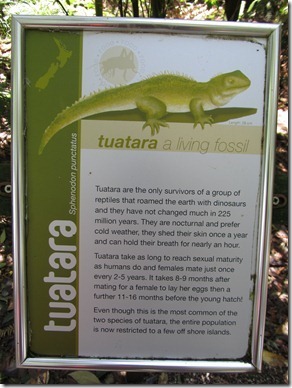 For 200 m years … this is not a typo … tuatara has not changed significantly. That is why it is often referred to as “living fossile”. Its preferred temperature is quite moderate for a reptile, i.e. between 16-22 Celsius. Thanks to the low body temperature (it can be as low as as 5 C) hatteria have very slow metabolism. They are also know for their longevity and can live up to 100 years. In Maori tradition these animals are considered sacred and the symbol of tapa (taboo). 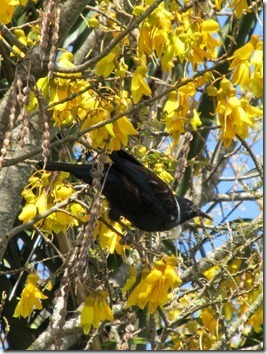 This is a peculiar and inteligent bird, quite common in our neighborhood in NZ. At first sight it seems to be all black. Under different light angles you can discover its colorful and iridescent feathers. It is also known as Parson Bird, because of its white collar like a priest. 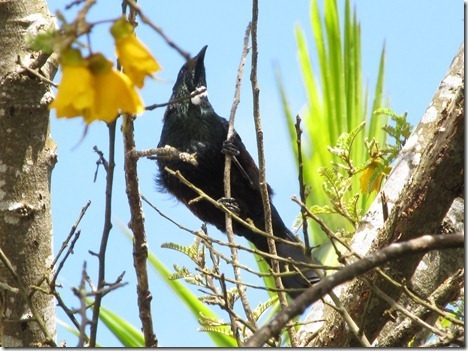 Tui can be recognized also by its beautiful singing and vocalizations, even at night. Like parrots, they are able to imitate human voice. 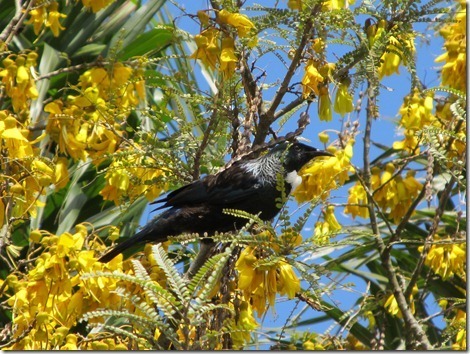 They pollinate many local flowers such as flax, kowhai (see in the picture below) or kaka beak. 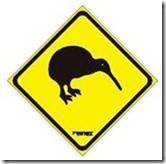 I started today’s post with one of the symbols of NZ, i.e. kiwi bird. Ending I would like to mention another one, a silver fern, also know in Maori as ponga. 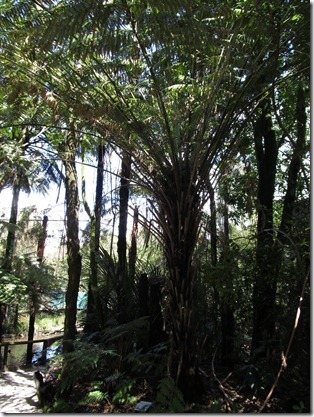 This is a species of tree fern commonly seen in NZ. It has silver-white coloration on the underside. It is quite similar in appearance to a palm tree. 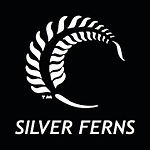 Silver fern is a commonly used symbol in NZ. Among its many uses it is the symbol of the national team of rugby, football and netball, a popular local sport (like basketball without boards and ball bouncing). 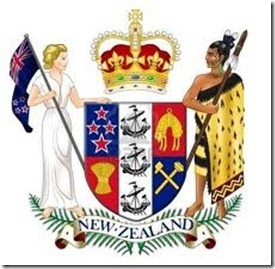 The fern is also in the national emblem of NZ and it is said it should be included in the national flag as well. 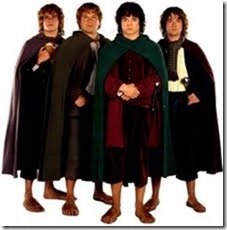 I was about to finish this post and I remembered about the Hobbits in the title. For those who have never heard of them, let me just describe them as a race created by the writer named J.R.R. Tolkien in his famous fantasy books. 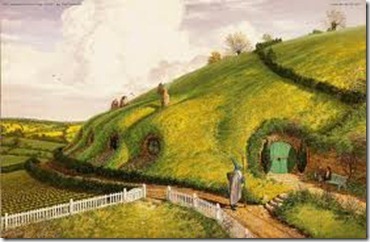 Hobbits are small, peace-loving creatures living in colorful villages in houses dug up in the hills. With their hard soles and hairy feet they walk barefoot, even in winter time. They like to eat a lot and smoke pipe herbs. In the times described by Tolkien the Hobbits lived mainly in the mythical land of Shire, which we were lucky to visit recently. 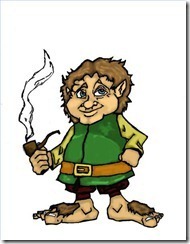 I have got good news for all Hobbit lovers here. We were the last group of people allowed into the so-called Hobbiton, the land of the Hobbits (Shire), created to make the famous trilogy-movie “The Lord of the Rings”. The day after our visit, a film making group led by the director Peter Jackson, started shooting a brand-new movie, Hobbit. Unfortunately before visiting the set we had to sign a legal commitment we would not be sharing our picutres and movies takedn there on the internet. Ten wpis został opublikowany w kategorii English, New Zealand i oznaczony tagami Trivia. Dodaj zakładkę do bezpośredniego odnośnika. A very interesting and detailed blog of the familys world travels and would recommend it for any traveller to view. This family stayed with me and it was a pleasure having them we had lots of laughs and they taught me a lot about the world.Ian Hendry. Staying and spending time with you was a real pleasure for our whole family. We definitely learned many things from you as well. We are extremely thankful to you for giving us shelter in this cold and rainy spring in NZ.